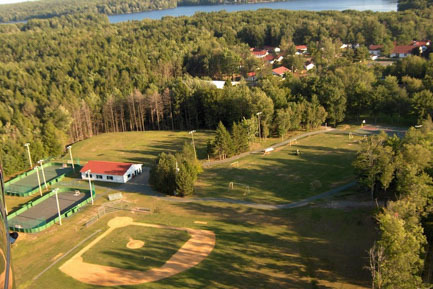 Located just 90 miles from New York City, Iroquois Springs is the perfect setting for company picnics, retreats, school trips, weddings, parties, reunions, sports teams, band camps, specialty camps and almost any type of group imaginable. Available from the beginning of May until the middle of June, and again from the middle of August until the middle of October, Iroquois Springs can accommodate groups of 25 to 2500. Whether you are looking for a single day, or a multi-day experience, Iroquois Springs is right for your group. Our 200-acre facility has an enormous amount of space for all types of groups. Whether you are looking for ball fields or indoor facilities, we have it all. Let us help you to plan your next outing. We will be happy to assist you in creating a program that meets all of your needs as well as your budget. Every group will have an on-site liaison to ensure your stay is exceptional. Whether it’s customizing the menu, or helping to schedule special events, Iroquois Springs can create an event you will not forget. 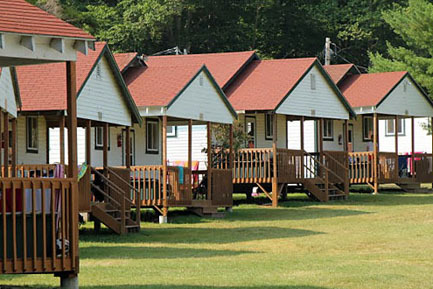 Check out this highlight reel from Camp Compass (Compass Real Estate)! Good Life Project presents Camp GLP! Iroquois Springs featured on MSNBC!